New Jersey | Sounding Out! Standing in front of our rented apartment in Túngata, a residential street just a few blocks from central Reykjavík, I am struck by the stillness of the city that surrounds me. 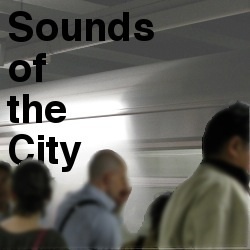 Having lived most of my life in the densely-populated suburbs of northern New Jersey, my experience of urban soundscapes has typically been frenetic and noisy. Here, even the busiest parts of town seem subdued. It’s a pleasant contrast. At 8AM on a weekday, the quietness is eerily enveloping, broken only occasionally by a gust of arctic wind, a passing car, or a neighbor closing her door and setting off for work. Quiet tranquility and natural beauty have attracted a growing number of tourists to Iceland in recent years, my wife and I included. With only 330,000 people inhabiting an area roughly the size of Kentucky (and two-thirds of those settled in and around Reykjavík), one needn’t venture far out into Iceland’s otherworldly landscape to feel far removed from civilization – like exploring a distant planet. While the island may be still now, the belated realization that Iceland’s bizarre terrain, its vast lava fields, meandering fissures, and Dr. Seuss rock formations are the result of earth-shattering eruptions – like Eyjafjallajökull in 2010, Bárðarbunga in 2014-15, or the more recent rumblings around Katla – can be a little unnerving. Travelling through the Icelandic countryside, one imagines the thundering cracks, seething magma, and the infernal growl of the awesome geophysical forces that churned up these vast panoramas. To a certain extent, the absence of sound here heightens a sense of the sublimity of the world around us; that from certain perspectives, nature is fundamentally ineffable – incapable of being fully represented by language, data, or art. Sound, I think, can complicate this experience. On the one hand, the extraordinary sounds of earthquakes and volcanic eruptions, of great storms, or the roiling of heavy seas, contribute to the overwhelming experience of the grand and fantastic. On the other, these sounds, like perhaps the everyday noise of a busy street corner, may also break the spell by yielding up the audibly familiar. Wandering around Reykjavík at this early hour, a settlement that has clung defiantly to a desolate rock in the North Atlantic for over 1000 years, I become acutely aware of each new sound to disrupt the ethereal silence. Each of these, even the most mundane and urban, seems to take on larger significance and intention as audible signs of the ways in which human beings have forged order and meaning from a wild and indifferent world. But for now, all remains quiet, and the island’s primordial silence seems to reach even into the capital itself. Of course, Reykjavík is a vibrant international city resonating with the familiar sounds of urban life. But at certain times the quietness that seems to subsume everything else – a subtle reminder of the relatively small scale and frailty of the human compared to the geological. Soon enough however, as I walk up Túngata there’s a siren in the distance, and the neighborhood begins to echo with the sounds of children playing in the yard at Landakotsskóli, one of Iceland’s oldest schools. I follow the street as it arcs towards the city center, passing several foreign embassies and the imposing gothic edifice of Dómkirkja Krists Konungs. A few other cars motor past and there’s a brief gust of cold wind, but these are momentary disruptions. Soon enough the world returns to the now-familiar stillness. Grafitti in Reykjavik. Image by Rog01 @Flickr CC-BY-NC-SA. But the sounds of morning traffic pick up a bit as I walk further down the hill – the rush of passing cars, the groan of a utility truck turning off a side street, and the muffled sounds of a radio floating from a car window. At its end, Túngata bends to the left at the bottom of the hill, where I see a large excursion bus stopped in front of a hotel, and a knot of tourists quietly talking nearby. It’s time for morning pickups, and the idling of these busses, and the hushed, expectant voices of day-trippers outside hotels and guesthouses around the city turn out to be common vignettes along my morning walk. They’re a reminder of the vast growth in tourism this year, which is expected to increase 29% over 2015 to 1.6 million foreign visitors. Continuing straight onto Kirkjustrӕti, I pass the Alþingishúsið (Parliament House) on my right, and Austurvӧllur, a large public square on my left. The place is relatively quiet now. The cafes lining Vallarstrӕti and Pósthússtrӕti are closed, and there are only a handful of people walking through the square. Later on, the cafes will be buzzing with patrons enjoying the balmy (for Iceland) weather and the long hours of sunlight. But aside from the nightlife, Austurvӧllur’s proximity to Parliament means that historically it’s been a focal point of political protest in Reykjavík. Two months before our visit, some 24,000 people crowded into this space to demand the resignation of Prime Minister Sigmundur Davíð Gunnlaugsson, who was revealed by the Panama Papers to have undisclosed connections with an offshore shell company with interest in failed Iceland banks. Walking past the square today, I can only imagine the chants, claps, whistles, shouts, barricade-banging, and yogurt-throwing of Icelanders expressing their collective frustration with corrupt officials. Construction in Reykjavik. Image by Patrick Rasenberg @Flickr CC BY-NC. This morning however, apart from the early morning sound of chirping birds and pedestrian commuters, there’s a bit of construction going on here – I can hear a few landscapers and a pair of contractors clanking and clunking as they lay out equipment for work on a building next to the Alþingishúsið. From these men and others I pass along this stretch of road, I hear the hushed and slightly groggy speech of early morning. The talk is all in Icelandic of course, a language whose place and street names I valiantly try to pronounce when I visit. Icelandic is a notoriously difficult language for foreigners in general, and its tongue-twisting staccato and subtle consonants, not to mention its intimidating alphabet, usually leave my mouth sounding a bit too awkwardly Jersey (as you can hear for yourself in this podcast!). Continuing on my walk, I follow Pósthússtrӕti as it threads around Dómkirkjan and out to Lӕkjargata, the main avenue in this section of town. Here, the soundscape is more typically urban. The sound of trucks and cars passing, a bus groaning into gear as it pulls out into traffic, the multi-lingual chatter of pedestrians at a crosswalk, a group of teenage volunteers chatting in Icelandic as they do groundskeeping work near the Stjórnarráðið government offices, all speak the language of a city’s morning routine. Street art in Reykjavik. Image by Toni Syvänen @Flickr CC BY-NC-SA. Bankastrӕti, the main commercial district, is also coming to life. It’s still early, and most shops are closed, but heading east up the street, I hear a few snatches of conversations in Icelandic and American English – and there seems to be more of the latter than I remember from the last time we visited, testament to Iceland’s growing attraction for U.S. tourists. All along Bankastrӕti, the sounds of lively conversation, music, and the clinking of tableware floats out of open doors as people pop in and out of cafes and restaurants for breakfast and morning coffee. As I bear right on Skólavӧrðustigur and up the hill towards Hallgrímskirkja – the Lutheran church that dominates the city skyline like an art deco rocket ship – these sounds start to thin out again. Apart from a passing car or pedestrian, and the occasional rumbling of a tour bus or ATV, I am left in the comforting hush of a Reykjavík morning. At the top of the hill, the large stone plaza before Hallgrímskirkja echoes with the clattering sounds of workers hammering at the roof of a nearby building, as the great green statue of Leifur Erikíksson silently watches on. I turn left on Frakkastígur and head downhill towards Faxa Bay, which looms in the middle distance. Frakkastígur turns out to be the noisiest stretch of my walk: there’s the roofers; the slapping of lanyards on the flagpoles that surround Hallgrímskirkja; the busy bakery where I buy morning croissants surrounded by Beatles music, the English and Icelandic chatter of customers, and the pounding, rolling, and cutting of dough; and finally the two large construction sites that I pass between Laugavegur and Hverfisgata streets. Here, the motoring of earthmovers, the shrieking of a circular saw, and the pounding of a massive pile driver jar the neighborhood with an intense mechanized racket. I’ve noticed a fair amount of construction around Reykjavík this trip. The skyline bristles with cranes. It’s another marker of the booming tourism industry, and its complicated place in the Icelandic economy. Since the financial collapse of 2008, there’s been pent-up demand for residential housing. But with the local construction industry strained from the current spate of hotel building, it’s been difficult to find builders to work on residential projects. What I hear around me is a sign that Iceland’s economy has improved, but it’s also a reminder that improvement sometimes makes life more difficult for local residents. Sculpture on the shore of Reykjavik. Image by Ainhoa Sánchez Sierra @Flickr CC-BY-NC-SA. The sounds of heavy construction fade as I wind my way down to the bay and cross over Sӕbraut to the promenade that lines the shore. Like any highway, at this point in the morning Sӕbraut fairly hums with commuter traffic; here, the ambient sound of suburbanites making the morning drive to work, complete with attendant sound of brakes, horns, and Icelandic drive-time radio mix with the rushing sound of wind rolling off the waterfront. Walking along the promenade now, I pass a few joggers and bicyclists as a walk over to Harpa, the newly-built glass and steel concert hall that is home to the Icelandic Symphony Orchestra and which, every autumn, becomes a focal point of the week-long Iceland Airwaves music festival. It’s this annual event, I muse, that should be the subject of a future sound walk (for me or someone else) – five days in which Reykjavík pulsates with the sound and music of dozens of bands playing formal and informal shows at venues, cafes, bookstores, and basements around the city. From a large dig site next to Harpa (the possible site of yet another hotel), I cross back over Sӕbraut to the clicking sounds of a crossing signal for blind pedestrians. I pass Bӕjarins Beztu Pylsur (The Best Hot Dog in Town), which is closed for the morning, and walk back into the city center, which is by now clearly awake and buzzing with locals and tourists. After stopping in a 24-hour supermarket for some morning milk, I walk east on Austurstrӕti past the Laundromat Café and other restaurants that are now busy serving the breakfast crowd. Up through Ingólfstorg square (which appears to double as a skate park, but is right now a stopping point for a walking tour group), south on Aðalstrӕti, and around the turn by the Reykjavík Settlement Museum, I’m soon walking back up through the quiet neighborhood lining Túngata. Featured Image by SambaClub | Camisetas com conteúdo (a t-shirt site) @Flickr CC BY. 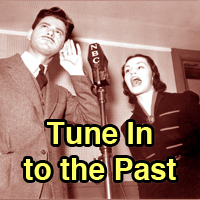 Join Frank Bridges and Christine Lutz–founders of the New Brunswick Music Scene Archive, at Rutgers University–as they converse with a panel of seasoned veterans from the New Jersey music scene. Included on the panel are Ronen Kauffman, author of New Brunswick, NJ Goodbye; Marissa Paternoster, singer and guitarist of The Screaming Females; Joe Steinhardt, co-founder of Don Giovanni Records; and Jim Testa, the editor of Jersey Beat.The discussion becomes intimate very quickly as the audience converses intently with the panelists. Together the group compares inter-generational notes about what makes a music scene and the affordances of situating a counter-culture archive in a university setting. Featured Image: Excerpt from the cover of Jersey Beat #14. Image used with permission by the author. Frank Bridges is a Doctoral Candidate at The Rutgers University School of Communication and Information. He is also a part-time lecturer, musician, and graphic designer. His research interests are the DIY and Internet-based production and distribution of music, and visual communication with a focus on semiotic analysis and street art. 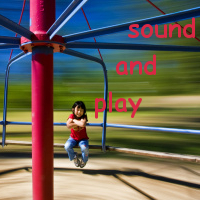 What is the ambient sound of commerce? Equally reviled and revered, the programmed soundscapes of retail space combine wonderful serendipity with quotidian blandness. This podcast examines field recordings from luxury megastores, suburban fast food joints, and everything in between. As it turns out, the corporate ambience of chain-store retail isn’t so far away from the high-brow ambitions of ambient music. Ambience is whatever surrounds us, and it’s embroiled within the same kinds of aesthetic, political, and economic struggles that have been recognized in architecture for centuries. While a long line of thinkers have identified the links between retail and modernity, surprisingly few have addressed the phenomena in auditory terms. Following up on Jonathan Sterne’s 1997 inquiry regarding environmental music in the Mall of America, this podcast examines new developments in ambient sound that have accompanied the rise of e-commerce and the decline of brick-and-mortar stores. Segmentation of markets, nostalgia for the past, and the early history of recording are all addressed, as we take a listening trip through consumer culture. The podcast presents highlights from field recordings from retail stores, accompanied by voice-over narration. Field recordings were captured with a Zoom H4n handy recorder, at Menlo Park Mall in Edison, NJ, Dover Street Market New York, Parsonage Road Target in Edison, NJ, Wal-Mart Route 27 in Edison, NJ, and Dunkin Donuts Route 27 in Edison, NJ. Also includes excerpts from Brian Eno’s “Ambient 1: Music for Airports” (1978) and Disconscious’ “Hologram Plaza” (2013). James Hodges is a PhD student in media studies at Rutgers University. His research focuses on the relationship between promotional culture and media preservation. James is the cofounder of a media archaeology working group at Rutgers, and he runs a small cassette label for fun. Featured image by Nicholas Eckhart @Flickr CC BY. This is a comparison of two soundwalks performed by SO! Multimedia Editor Aaron Trammell in two different cities–New Brunswick, NJ and Davis, CA. In this podcast Aaron listens to his footsteps and considers the sonic interactions between individual and environment. Specifically, he considers how the artist must always contend with the degree to which they are audible in the soundwalks they record, thus marking a radical departure from visual modes of inquiry that render the research invisible. Let’s join Aaron as he walks us through two cities he loves. Aaron Trammell is co-founder and Multimedia Editor of Sounding Out! He is also a Media Studies PhD candidate at Rutgers University. His dissertation explores the fanzines and politics of underground wargame communities in Cold War America. You can learn more about his work at aarontrammell.com.